Many of us give up on our dreams because the perceived safety of our comfort zone lulls us into inertia. Karen Brown's story serves as an allegory for realizing dreams of any kind. She fulfilled her True - her Divine - Potential by competing in the most difficult triathlon in the world: the Ironman World Championship in Kona, Hawaii. Reading Karen's story will show you how to deal realistically with the physical, emotional, and mental preparation all types of goals demand. To get started on fulfilling your dream, you first need to wake up This book is your wake-up call. 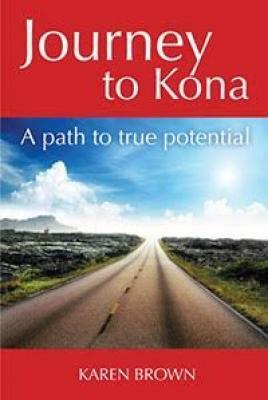 Karen's path to her Divine Potential was her Journey to Kona. What's your Kona? Karen Brown is a triathlete, real estate professional, motivational speaker, author, and coach. She discovered her Divine Potential through realizing a lifelong dream of completing the 2012 Ironman World Championship in Kona, Hawaii, and has built on her success to become a world-class Ultra-athlete. She currently lives in Colorado.